Burnley will face Olympiakos for a place in the Europa League group stages after Jack Cork's 97th-minute strike sealed an extra-time victory over Istanbul Basaksehir at Turf Moor. 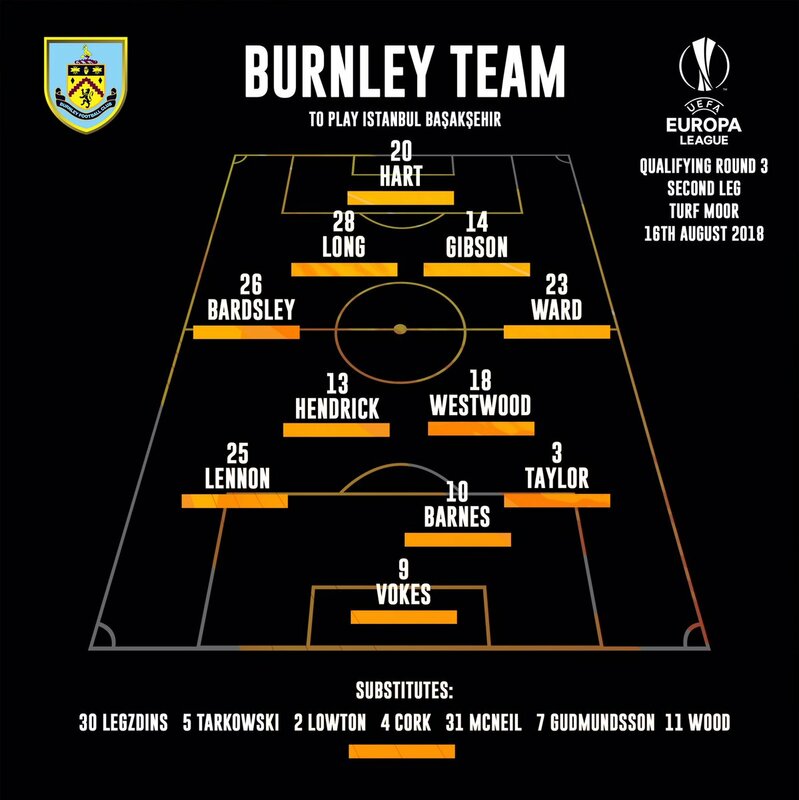 After the first leg in Turkey ended goalless last week, Sean Dyche's side fought hard to keep their hopes of a first European campaign since 1961 alive. Ashley Barnes came close to breaking the deadlock in the first half of the third qualifying round tie, but Istanbul were the better side in the second period as Joe Hart denied substitute Emmanuel Adebayor. With the game heading for penalties, Cork - who scored in the 3-1 win over Aberdeen in the previous round - took Jeff Hendrick's lay-off to curl a fine effort into the top corner to seal a tight contest. Barnes, who was one of seven changes from the Southampton stalemate, was most eager to impress and he almost scrapped his way to an early opener after upending Alexandru Epureanu and finding the side netting. It was far from plain sailing as Hart continued his fine form to make strong saves from Edin Visca, with the striker meeting Gael Clichy's cross to force the England 'keeper into a reaction stop on the stroke of half-time. Kerim Frei was next to try his luck, but Hart dropped to his right to tip wide, with Dyche opting to bring on Cork midway through the second half - and the former Swansea midfielder made the difference. Burnley took full advantage of sloppy defending as Hendrick regained possession high up the field before laying the ball off for Cork to find the top corner with a clean strike. An away goal would still have been enough for Basaksehir and after Adebayor missed with a volley and a header there was one last Hart save from Visca to settle matters. 3 - Joe Hart has kept a clean sheet in three consecutive matches in all competitions for the first time since March 2016. Overdue.